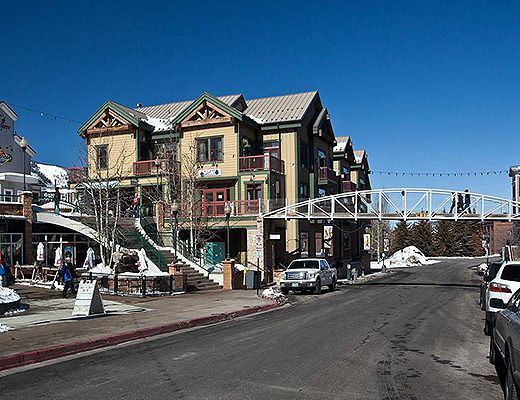 Located in the Town Lift Plaza, this beautifully decorated vacation property is conveniently situated just mere steps from shopping, dining and nightlife. 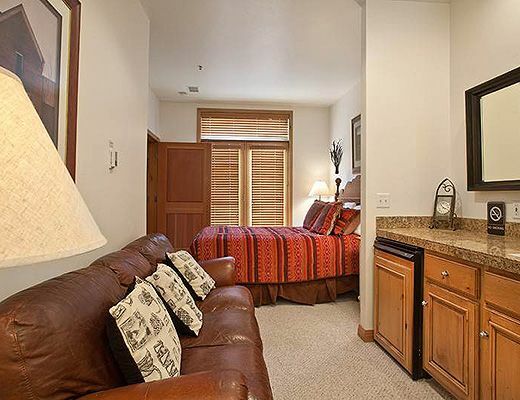 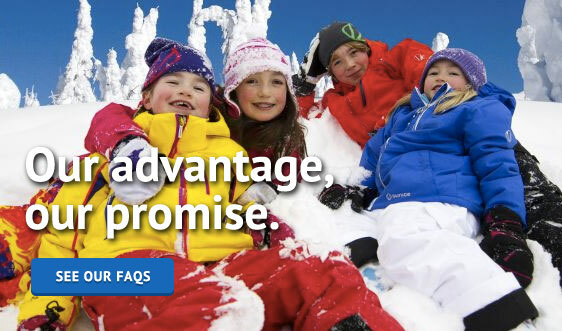 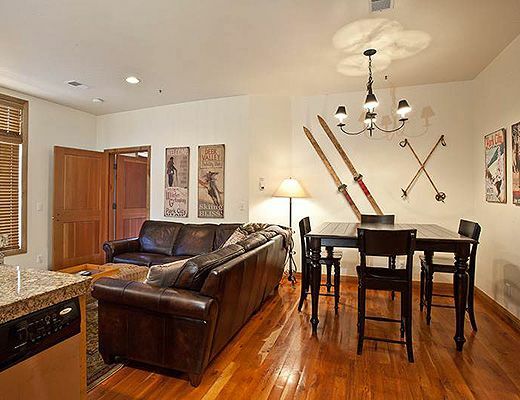 With comfortable furnishings and easy ski access to Park City Resort, this rental offers desirable accommodations. 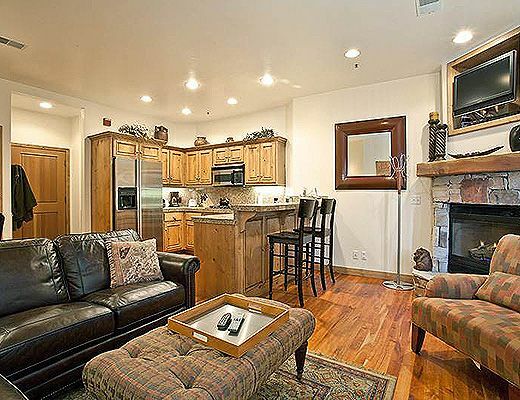 Beautiful hardwood floors, relaxed leather seating and a lovely corner fireplace help to create a cozy atmosphere while the modern kitchen boasts granite countertops, stainless steel appliances and a breakfast bar for added dining. 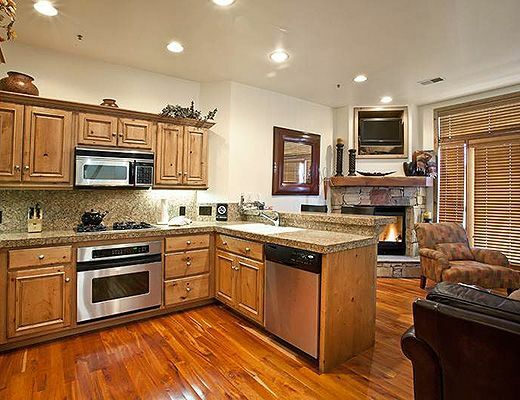 The shaker-style cabinets, gas range and ample storage space ensure all the culinary comforts of home. 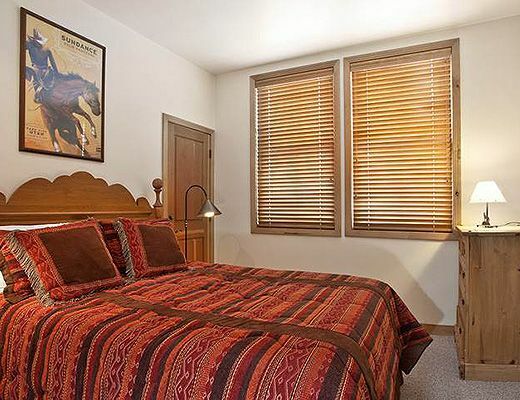 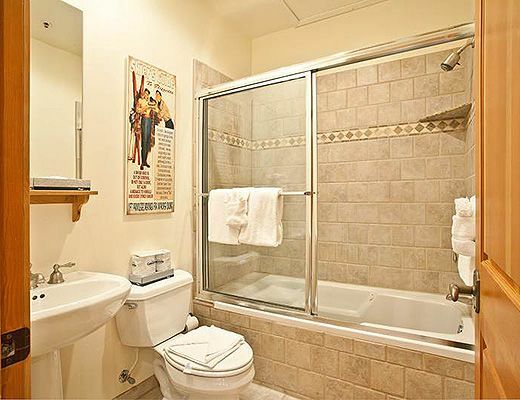 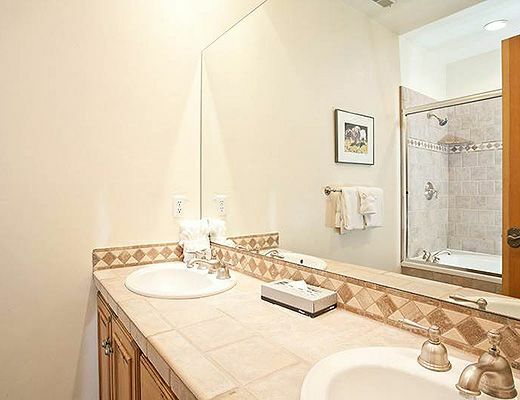 With two well-appointed bedrooms and a stylish bathroom, this rental property provides lodging for as many as six guests.